Sorry about the pic. Best I could do! 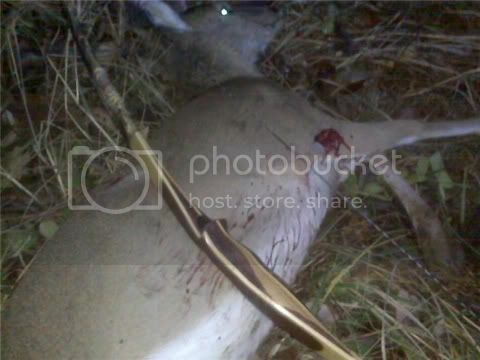 Congrats on taking the doe with the longbow. There is nothing really like it! Now you know. A great trophy for you and that venision will taste mighty good. A silent longbow is all it takes!!!! great story!!!! it is always nice when you are hunting and feeling relaxed to get all the stress out, getting these trophy is the cherry in the pie!!!! Cograts,i can't wait to take a deer with my longbow. Gatekeeper you are correct...lung/heart/exit in that order. Made some great meat. Tired of yardwalkin'/store bought turkey so tonight it was FRESH BACKSTRAP! 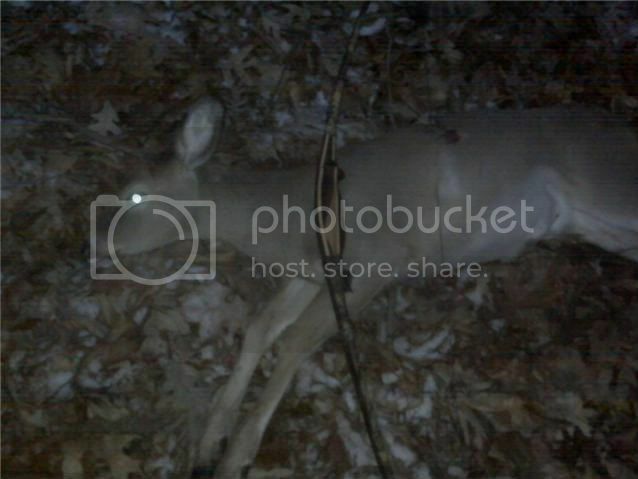 Well I took my second longbow doe last night. I am so happy with this bow and how well it shoots!